Is your face feeling dry and lifeless from the cool autumn weather? Try a Facial Masque to moisturize and restore your face. 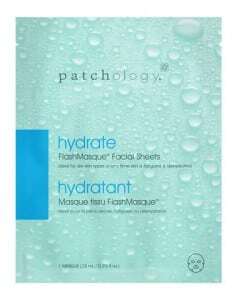 You can request a FREE sample of Hydrate FlashMasque from Patchology! These facial masque sheets hydrate and refresh your skin. To get your freebie, just add the sample to your cart and check out by entering your mailing info.